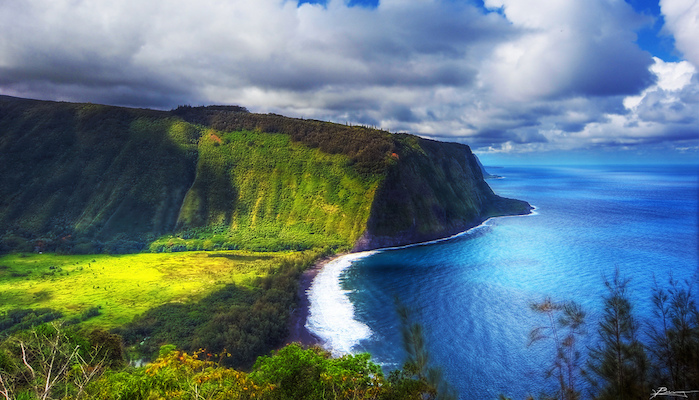 The “Big Island” of Hawaii is the largest and easternmost isle of the archipelago, and like the other islands in the state, it is comprised of shield volcanoes, inviting beaches, and tropic greenery. Running on Hawaii, the Big Island offers a great variety, from wonderful coastal trails, runnable beaches, paths along waterfront roads, and the unique Volcanoes National Park. There are several great running routes across the island, from paved race courses, to scenic dirt roads, to crescents of beaches and bay fronts. 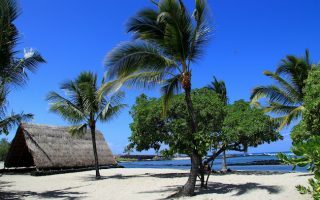 Most of them are situated around the main tourist hub of Kona, but there are some further flung routes that are worth traveling for. The forerunner of popular routes is undoubtedly Alii Drive near Kona, but dirt roads such as Mana Road are also hot spots for running. Of course, we can’t leave out the waterfront paths at the Hilo Bayfront or Walua Road. 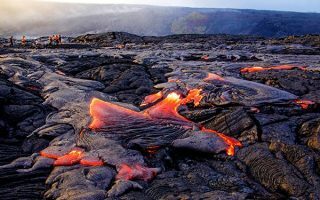 Trail runners will get their thrills in Volcanoes National Park, while those who prefer sand can soak up the sun at Natural Energy Labs or Hapuna Beach. We’ve selected a variety of routes sprinkled across the island, so you should have no trouble finding one near you. Our thanks to the Big Island Running Company for their help with routes! At about 95 miles across, Hawaii is twice as big as the other Hawaiian islands combined. With that in mind, the tourism experts recommend a rental car for getting around the island. Otherwise, your options for runs may be confined by the somewhat limited public bus system, although you can always hire a taxi or an Uber/Lyft. Still, whether you stick to the basic running routes or venture further into the jungle, a great run is waiting for you on the Big Island. Among the most popular running spots on the whole Big Island. Wonderful ocean views most of the way, with a wide shoulder safe for running. Up to 7 miles south, the last two miles are hilly. The red dirt Mana Road runs for over 40 miles heading out towards Mauna Kea volcano. Great views on this less trafficked road, which starts 2 miles west of Waimea Center. Hilly. Best bet is first 6 miles, near Waimea. 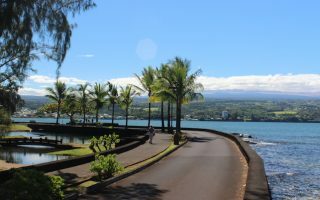 If you’re located near Hilo, on the eastern side of the island, the primo running spot is the beautiful Hilo bayfront, 3-5 miles of waterfront, including a 2 mile loop running under the shade of huge Banyan trees. A solid two miles of sandy beach in the Hawaii Ocean Science and Technology Park near the airport. You can extend your mileage on the paved streets of the Natural Energy Lab or the trails of Kaloko-Honokohau National Historical Park. A 6-mile, hilly out and back. 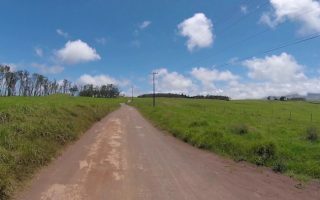 Popular route for walking, jogging, biking along a less-trafficked road in the Holualoa area. Gains elevation until the turnaround point at Mile 3, then it’s a fun and fast downhill. A one-of-a kind place. Hike or run the rim of an active crater, or run on trails or roads to enjoy terrain that includes deserts and rain forests, past craters and rift zones. We outline several good options. Note trail closures and air quality warnings! 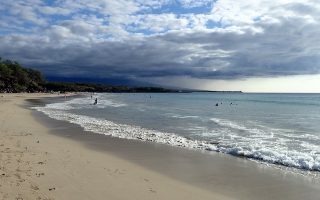 One of the largest swaths of white sand beach on Hawaii, and your best bet for a run on the sand. Combine with the Coastal Trail along the bluffs path to Mauna Key, for a fabulous 2.8 mile out and back. The island of The Big Island has four distinct climate zones, varying by geography. Hilo is more tropical and wetter. There are also drier and hotter spots on the island. Areas of elevation, such as Volcanoes National Park, can feature cool, wet and windy weather with occasional snow. When planning running on Hawaii, be prepared for intense heat, humidity, and also wet weather depending on location and season. The graph below is for Hilo. Go Hawaii has a great trip planning website. 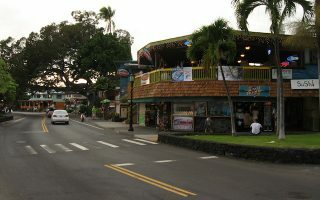 The Big Island Running Company is the major running store on Hawaii. Group Runs: Tuesdays & Thursdays 5pm from their Alii Dr. store. Also group runs in Hilo. Calendar. They are also very helpful with route planning! Big Island Road Runners is the largest local running group. Running Calendar for group runs and running events on Hawaii, courtesy of Big Island Running Company.